Beta blockers (BBs) reduce blood pressure by blocking the action of adrenaline. 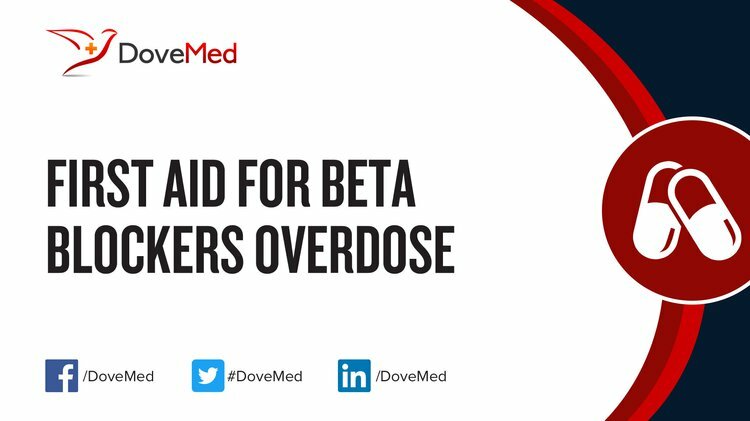 Beta Blocker Overdose is the accidental or intentional intake of the drug in dosage higher than prescribed. What is Beta Blockers Overdose? What are the Causes of Beta Blockers Overdose? What are the Signs and Symptoms of Beta Blockers Overdose? The signs and symptoms of Beta Blocker Overdose can vary from one individual to another. It may be mild in some and severe in others. Several systems of the body, such as the digestive system, nervous system, vascular system, respiratory system, skin and ENT may be affected. How is First Aid administered for Beta Blockers Overdose? Who should administer First Aid for Beta Blockers Overdose? First aid for Beta Blocker Overdose is administered by healthcare professionals. What is the Prognosis of Beta Blockers Overdose? How can Beta Blockers Overdose be Prevented? Engebretsen, K. M., Kaczmarek, K. M., Morgan, J., & Holger, J. S. (2011). High-dose insulin therapy in beta-blocker and calcium channel-blocker poisoning. Clinical toxicology. Stellpflug, S. J., Harris, C. R., Engebretsen, K. M., Cole, J. B., & Holger, J. S. (2010). Intentional overdose with cardiac arrest treated with intravenous fat emulsion and high-dose insulin. Clinical toxicology, 48(3), 227-229. Jovic-Stosic, J., Gligic, B., Putic, V., Brajkovic, G., & Spasic, R. (2011). Severe propranolol and ethanol overdose with wide complex tachycardia treated with intravenous lipid emulsion: a case report. Clinical Toxicology, 49(5), 426-430. Maszkowska, J., Stolte, S., Kumirska, J., Łukaszewicz, P., Mioduszewska, K., Puckowski, A., ... & Białk-Bielińska, A. (2014). Beta-blockers in the environment: Part II. Ecotoxicity study. Science of the Total Environment, 493, 1122-1126. Rothschild, L., Bern, S., Oswald, S., & Weinberg, G. (2010). Intravenous lipid emulsion in clinical toxicology. Scandinavian journal of trauma, resuscitation and emergency medicine, 18(1), 51. Palatnick, W., & Jelic, T. (2014). Emergency department management of calcium-channel blocker, beta blocker, and digoxin toxicity. Emergency medicine practice, 16(2), 1-19. Starkey, E., & Shahidullah, H. (2011). Propranolol for infantile haemangiomas: a review. Archives of disease in childhood, archdischild208884. Bonnineau, C., Guasch, H., Proia, L., Ricart, M., Geiszinger, A., Romaní, A. M., & Sabater, S. (2010). Fluvial biofilms: a pertinent tool to assess β-blockers toxicity. Aquatic Toxicology, 96(3), 225-233.
van den Brandhof, E. J., & Montforts, M. (2010). Fish embryo toxicity of carbamazepine, diclofenac and metoprolol. Ecotoxicology and environmental safety, 73(8), 1862-1866.